I should have known something was afoot when Matt and his wife Kathleen surprised us with an impromptu trip to the beach house in May. They walked in the door and gave me a “mother’s day” card with Mother scratch out and Grandma written in. This was how they told us they are expecting their first baby on December 20th! A totally fitting due date for a girl that listens to Christmas music 365 days a year and starts her number of days ‘til Christmas counter on the 26th of December. For weeks afterward Matt continually referred to their little one as “maybe”. He said he was not getting his hopes up until the baby doctor confirmed that there was actually a little baby in there. After for what seemed like forever, the day finally came. 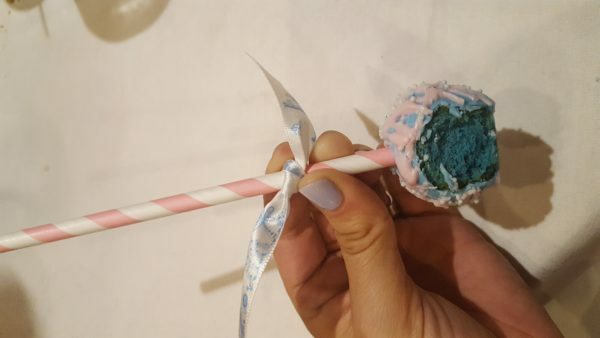 Baby maybe was confirmed as a real live baby! We are all too excited to welcome another wee one into the Allen Clan! The Allen Family converged on Chicago to attend the baby shower for my nephew, Nate and his wife, Roxanne. Baby Furgleton is set to make his debut this month. As I look around the family I am thrilled that most of the crew is in attendance. We are missing Jess (who is an adult now and had to work this weekend—boo hiss), Tanner (who is only 2 and unfortunately has to go where his Momma, Jess, goes—double boo hiss) and Bradley (who is an actor in New York and had to work this week end–whoop whoop). In true Allen/Giovanine tradition we ended up at the Greek Isles on Saturday night. The Greek Isles restaurant is a tradition in the Allen Family. For years, the holidays would find the entire Allen/Giovanine family gathered around a large table debating how many servings of “stinky” cheese and Hillbilly Salad to order. I was a little sad this night because my father-in-law, Paul, has passed on and it was sad for him not to be at the head of our table. He was a family man from his head to his toes. Looking down the table I knew he would have been proud as a peacock of all his children, grandchildren and now great grandchildren. Anticipation made me a bit fluttery. I knew that Matt and Kathleen would be announcing the gender of our little baby Allen soon. After we had finished our meal a waiter brought a bakery box to the table. 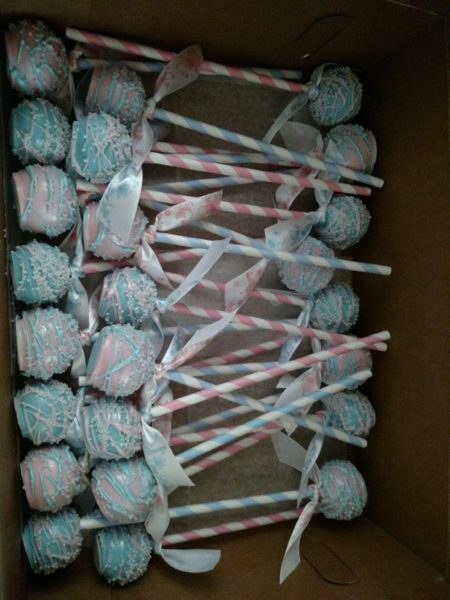 Matt and Kathleen passed out cute little pink and blue cake pops. We all eagerly waited as Matt counted us down—One—Two—Three!